If you haven’t already paid a visit to Pure Wow’s site, I highly recommend you do. It’s got all kind of articles about things you never knew you needed to know. You can also sign up for daily e-mails which I’ve come to look forward to. 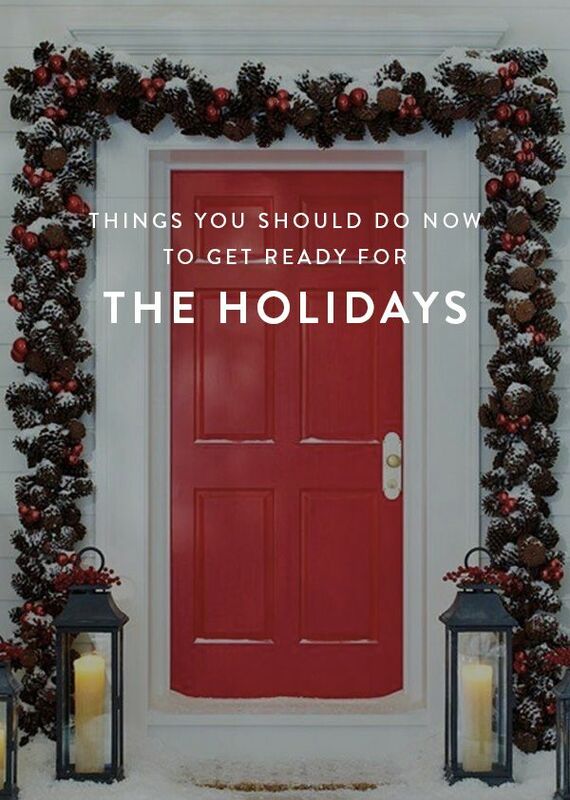 This week, Pure Wow sent me this wildly helpful list of suggestions on how to be perfectly prepared for the Holidays. I particularly loved the suggestions to write out a master gift list (I’m a lover of lists after all) and to make New Year’s Even Plans ahead of time. I always seem to forget to do it and making plans last minute never ceases to be frustrating and difficult. Do you have any tips to help make the Holidays a little more merry and bright? 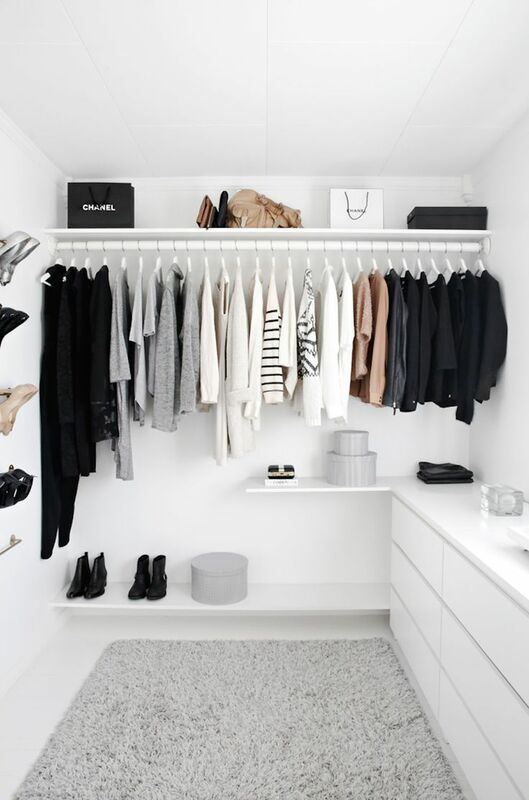 Would You Ever Have a Monochrome Closet? One of the integral parts of moving is decluttering. Parting with items in my closet has always been a challenge for me. I have an eminent fear of consigner’s regret. This being said, I almost always have the feeling that I’ve got a closet full of clothes and nothing to wear. As I begin to go through my closet, I find myself wishing that I could throw (almost) everything away and start all over. I’m starting to realize that it’s not so much that I don’t like the fuchsia silk blouse I bought two years ago and have worn four times, it’s that I don’t have much that matches with fuchsia. This is where the monochrome closet comes in to save the day. A monochrome closet sticks to the same palette thus, everything matches. All you have to do is mix and match your pieces. Sounds kind of blissful, doesn’t it? I don’t know if I could fully commit to starting all over though, could you? What do you’d think about this? Let me know!